A SINGLE SNAPSHOT of a player often reveals much more than the football they play. 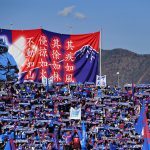 The way they carry themselves off the ball, how they react when things go awry – the football pitch is a hard place to hide emotions. For the special players, it only takes a mere sequence of play to see what lurks beneath the surface. For Adriano Leite Ribeiro, better known as simply Adriano, the magic in his boots was rivalled only by the diesel fuel in his bloodstream. A titan of a striker with a lethal left foot, Adriano displayed a brutish ability to bully defenders with his hold up play. He dazzled audiences as he dribbled explosively, shifting the ball from his right foot to his left foot cannon before letting fly with a shot that can only be described as footballing ordnance. His temperament during his playing days was that of a man confined to be the thrall of impulses of a world known for thrusting players in a world of too much, too soon. Born into a world of poverty in a nation plagued with crime-laden favelas, Adriano spent his youth playing football in the streets and learning to live by a different set of rules in Rio de Janeiro’s Vila Cruzeiro favela – a literal war zone where crime, drug lords, and corruption pull the strings of society. Such an upbringing leaves an imprint on a person and naturally, football was the way out; a route to riches, fame, fast cars, and respected status for someone growing up with next to nothing to hang his hopes and boots on. Players growing up in these conditions marry money with success and the desperation to better one’s status to their families and friends becomes an addiction in and of itself. 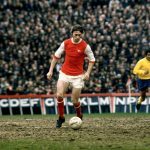 Whereas a player from some degree of relative affluence might learn the skill of saving money, players hailing from the streets often cannot spend their money fast or recklessly enough – such are the lessons of life. Coming through the ranks at Brazilian club Flamengo at the age of 16, Adriano fought his way to first-team football within a year. He only had to wait until his second professional match before he scored his first goal against São Paulo. After finding the back of net ten times in 24 appearances in the 2000-01 campaign, Adriano showed Brazil had produced in the fiery young striker a player with an imposing frame that combined impressive pace with the balance, strength, and power of a raging bull at the point of the attack. Word began to spread that Adriano would eventually emulate the ever-prolific Ronaldo. The hype and accompanying performances earned him a move to Internazionale, but he entered a brokered deal where he was co-owned between Parma and Fiorentina from 2002 to 2004 where he reinforced the buzz surrounding his play with consistent goal scoring and explosive displays of skill and power. 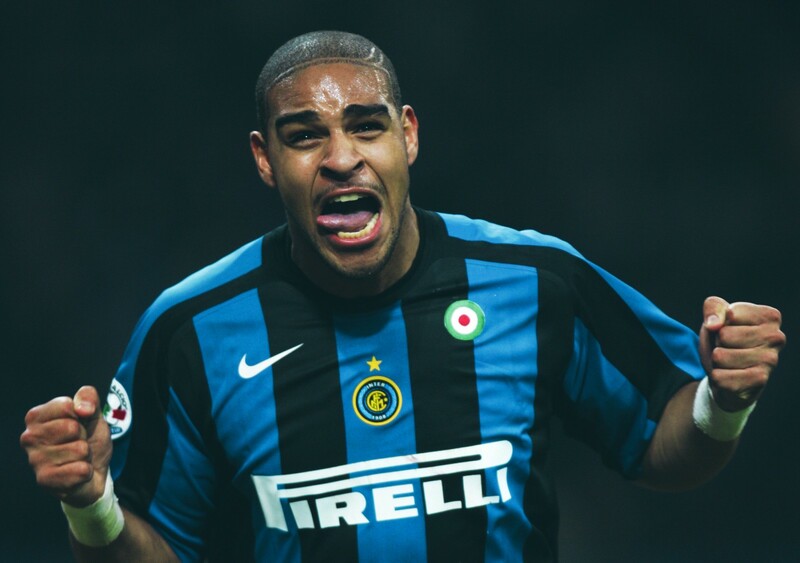 At the end of the 2004 campaign, Adriano returned to Inter Milan where he immediately transformed into the more recognisable L’Imperatore di Milano – the Emperor of Milan. When Adriano was in-form he was unstoppable. Comparisons to Ronaldo whom the Italian press had rightly dubbed Il Fenomeno turned into unrealistic, detrimental comparisons as the pressures of football fame began to take hold of Adriano off the pitch. Then, tragedy struck when Adriano’s father, Almir, died aged 44. Anyone with an eye for the game knows that at the very least, Adriano had the potential to be the striker that Ronaldo was for the Seleção, but after his father died Adriano became noticeably self-destructive with the poison of choice for so many of football’s greats: alcohol. Despite a deep depression and a period of bereavement that began to surface for Adriano off the pitch, his on-field displays were nothing short of excellent as he played like a man possessed. During the 2005 season, the Brazilian hit peak form and found the net 40 times in all competitions. The positive performances invited improved contract negotiations and rewards, endorsement deals, and a lifestyle that required more life skills than football skills. In many ways, the dye had been cast for a boy whose formative circumstances made a gilded world rife with money and fame the stuff of fantasy. The man whom Adriano looked up to most, who raised him, was gone – and filling the void were vices that destroy the impulses and decision-making of anyone, let alone a talismanic footballer. The football, it seemed, came easy to Adriano – but discipline was an art that he could not master. As his behaviour continued to derail his play, Adriano, the Emperor, became a nomad of sorts, falling out with Inter’s staff and front office. In 2007, the striker found himself locked in severe depression and battling substance and alcohol abuse as well as battling transfer speculation with interest from West Ham United and Manchester City that added fuel to the rumours that Adriano was on his way out of Inter Milan. Ultimately, he was sent on loan to Brazilian club São Paulo for a stint that saw him net 11 times in 19 appearances. However, more nightclub visits and training ground absences suggested, to uninitiated public and press, that Adriano was back in Brazil to party. In reality, as true as that might seem, a deeper look into the psyche of a shattered man suggests that he ran back to the place where he felt safe – where the memories of his father and a more simple life – floated elusively like ghosts of the favela. Before long Adriano was sent back to Inter Milan, but he was not the same Adriano that had the world at his feet despite still scoring goals and being a force on the field. The toxic relationship between the Rio-born star and football replaced his waning brilliance. Inter Milan opted to release Adriano in 2009 as his behaviour spiralled out of control before Flamengo signed the striker on a free transfer to a one-year contract. Despite more success on the field and scoring 19 goals for the club that gave him his introduction to professional football, Adriano continued to have run-ins with club officials, the press, the law and his own performance and fitness became too much to manage. The disaster continued when Roma brought him to the Italian capital. The nomadic journey of the “Emperor on the run” took him on a self-imposed exile reminiscent of the Greek tragedies of Hercules and his labours as the Brazilian floated between Corinthians, Flamengo (for a third time) and Atlético Paranaense. It cannot be said that Adriano did not have the second, third or fourth chances to rebuild his career, and more importantly his psyche and confidence as a man. What should have been an illustrious career in club and international football is a pockmarked story of a brilliant yet broken bull of man whose ascension to the stratosphere of world football is only rivalled by his meteoric crash back to reality. When he should have been his national team’s main striker in the 2006 FIFA World Cup, Adriano was a lacklustre version of the man who shined at the 2004 Copa América and scored a tournament-best seven goals. Where Adriano should be living a good life and enjoying the fruits of his labours, he wanders in exile like Oedipus – blinded by his own mistakes, poor decisions, and inability to see a way out. In some ways, Adriano’s story is less about the football as it is about the internal conflict footballers must learn to master. Think about the player Adriano and what comes to mind? He is a footballing Frankenstein – a man who combined the best parts of Ronaldo as a striker, an unstoppable force of a man with a thunderous left foot rivalling the left foot of another Brazilian, Roberto Carlos, and the tenacity of a Brazil’s stalwart hard men – mentally erratic, but on his day, one of football’s gifts gone too soon. For every goal Adriano slammed home with his howitzer of a left foot, there’s an image of man waiting to be provoked just so he could lash out. His fight with Marco Caneira of Valencia encapsulates the rage in Adriano. After being swiped in the face by the Portuguese player, Adriano squares him up and uses both fists to deliver a devastating double punch to his opponent’s face.